The magnificent Munja Track is located in the far north of Western Australia’s Kimberley region. Accessed off the Gibb River Road from Mt Elizabeth Station, the 225 kilometre challenging track to the coast ends at Walcott Inlett where you can witness first hand the massive Kimberley tides and fish for barramundi. Just keep watch for the numerous saltwater crocs! 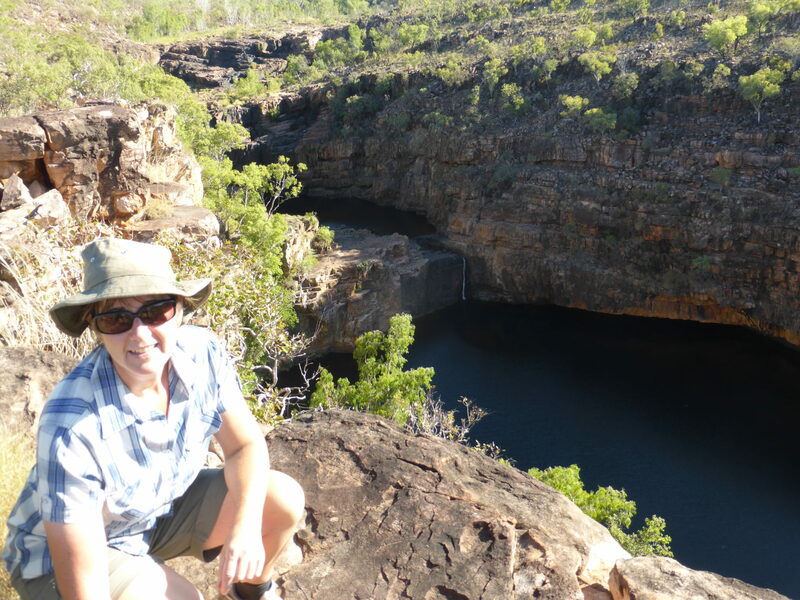 This section of the Kimberley receives some of the highest rainfall each year. Generally the track is open from July – September, but check conditions with Mt Elizabeth Station for up to date information. Leaving Mt Elizabeth Station, finding a suitable bush camp will be easy as there are many basic bush camps to choose from. For a designated camping option along the track, travel to Bachstens Camp where showers, toilets and washing machine facilities are available. The Munja Track is significantly remote and challenging, so allow at least 7 days to travel up and back. 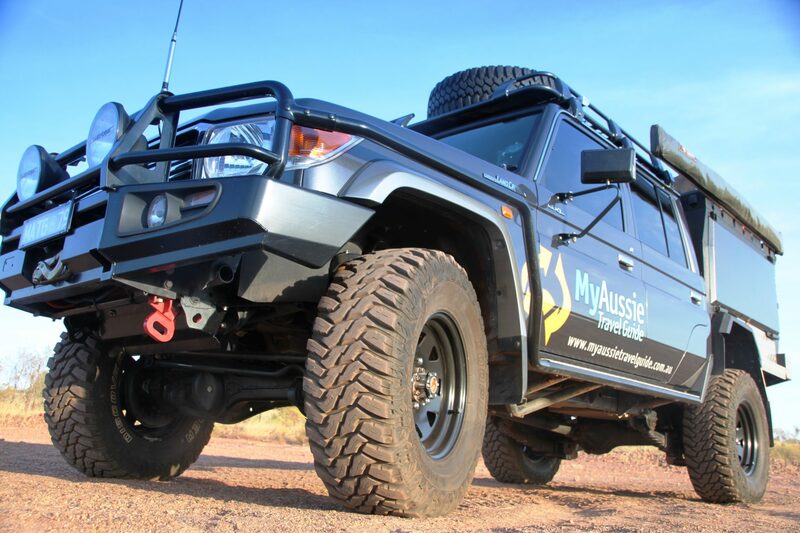 You will need to be completely self sufficient, so ensure your vehicle is well-maintained. 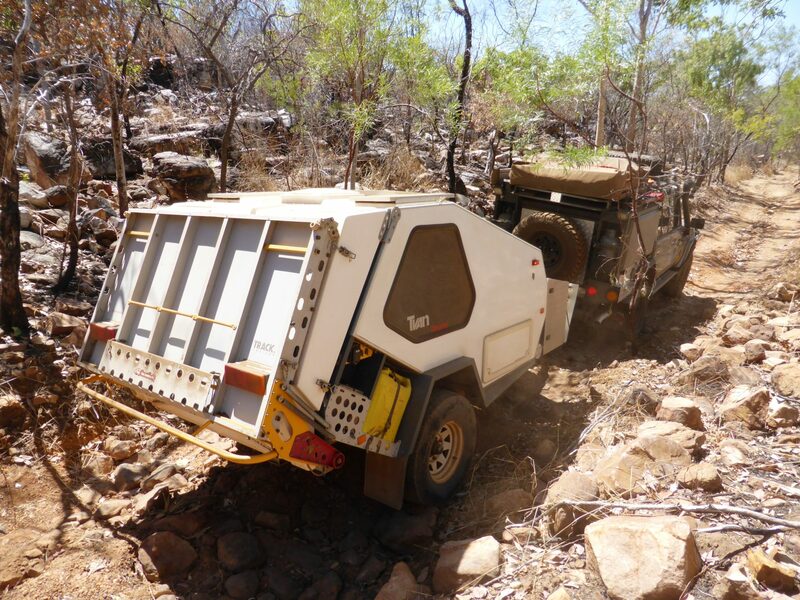 A high clearance 4WD is mandatory for the number of rocks to negotiate, travel with all recovery gear and carry adequate food, water and fuel. Due to the remoteness of the region, availability of fuel and basic supplies are limited. From Mt Elizabeth Station, Mt Barnett is 39 kilometres (petrol/diesel/basic supplies) and Imintji Roadhouse is 118 kilometres (diesel/basic supplies). Track conditions can vary along the Munja Track and include dirt, river and creek crossings, and a significant number of rocky outcrops. A permit is required to travel the Munja Track which can be purchased directly from Mt Elizabeth Station ($100). As there is a significant amount of rock hopping required for the Munja Track, travel with a tyre that consists of a high side wall and light truck construction to suit the rocky terrain.